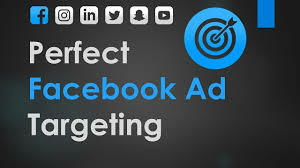 The secret to the perfect Facebook ad image With technological advancement social media has gained tremendous and amazing access to common people. Social media has scaled beyond the social and personal boundaries and has appeared as essential platform for the global economy. Truly the digital advertising has become the most sought after thing for the organization worldwide, both the big corporate as well as medium and small ones. In today’s environment when every second person around the globe is busy rather hooked to their mobile phones,, advertising with the aid of Facebook can proof to be successful key to crack the appropriate customer. 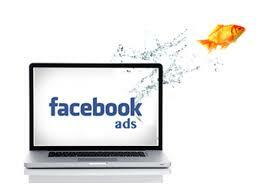 How can advertising with the help of ‘Facebook’ draw business for you? Well, it is quite easy. It helps you develop awareness for your brand and create news and attract people. You can draw customers and convert them into potential ones as they buy your products or services. But the point is that not every Facebook advertisement or the secret to the perfect Facebook ad image works that way. Speaking honestly, there are certain set of rules to be followed and methods to be employed and off course an array of error and trails needs to be overcome before you can actually and successfully crack an ideal Facebook ad. The secret of the perfect ad image, shows the following steps,the first thing that your targeted audiences notice is the Facebook ad image. So, it has to be positioned nicely, attractively in appearance and feel in order to ensure audiences’ visits to your website. Once this is done, rest could just be history.Now you should focus on how to rewrite the history for your brand product or service by using Facebook ad image. Here are few useful tips of mastering the Facebook ad image, which can prove to be a make or break for your advertising venture. Website ad image size: the ideal recommended size for an ad image linking to your website is 1200 x 627 pixels. Like ad: if you intend to position your Facebook page in order to attract traffic, then you rely on the cover image of Facebook page and its recommended size should be 851 x 315 pixels. Event ad: If you wish to promote an event and expect people to visit Facebook event page, then you can rely on the pre-existing cover image of the event page, or form an identical sized image of the dimensions 851 x 315 pixels. ensure that it is watched by all and sundry. The viewers can instantly make their choices. You should have different images so that the ad does not become monotonous and repetitive. Remember people are always looking for something new and appealing, so satisfy their curiously natural predisposition! Well equipped with the above mentioned tips, we expect you will be able to make history and achieve success in Facebook image ads and we pray you create successful business history and sustain it too! Fasten your shoes and gear up. Put your best foot ahead and set forward.